Are you interested in officiating for Lady Blue Knights house league programs? 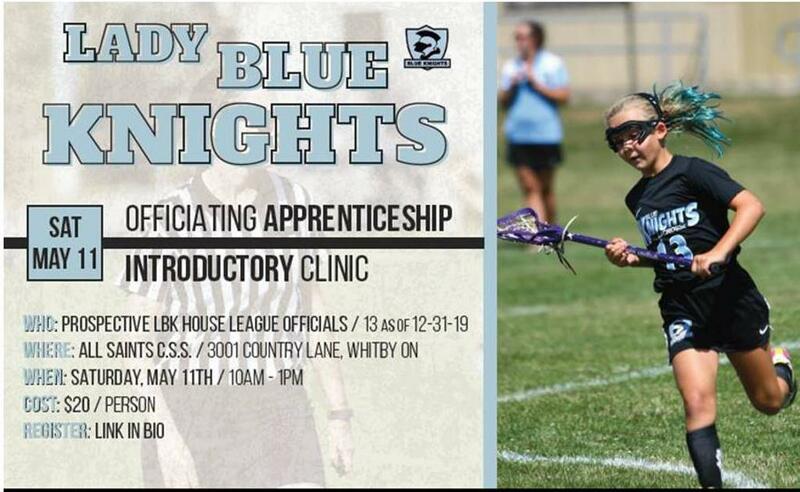 Join us on Saturday, May 11th to learn the basic skills that are required of women’s field lacrosse officials. Those who are interested must be 13 years of age (as of December 31, 2019) or older. Please click on the image below to register.